Our Premium 1-year subscription plan offers unlimited access to every level of every imaginable workout routine in exchange for a single payment. In addition, 1-week subscription and 1-month are available for users. For your convenience, BetterMen subscriptions are set to automatically renew within the 24-hour period prior to the subscription end date. You can cancel your subscription at any moment in your iTunes account settings but refunds will not be provided for any unused portion of the terms. Payment will be charged to iTunes Account at confirmation of purchase. Any unused portion of a free trial period, if offered, will be forfeited when the user purchases a subscription to that publication, where applicable. Good app, but one complaint. I think that overall this is a very good app. However, I’m 16 and I’ve been looking for a workout app that also provides meal plans. While these meals sound good, I cannot make all of these. My family and I have very busy lives and rarely cook as it is, and these meals are harder to prep. I need something that I can drive to Walmart and pick up a few ingredients real quick and go home and cook/meal prep. While the small tablespoons of different spices and sauces along with the six ounce salmon sounds amazingly tasty, it also sounds expensive to buy a package of spice or whatever that I’ll only be able to use a few times. Between a gym membership, the $10 a month price tag with this app, and the hard to prepare/expensive meals, I’m not sure if I can use this app as a permanent solution to what I’m looking for. Maybe you can work on adding easier meals to cook for students in high-school? I think this is a very well done app with lots of potential, but it may prove to be too difficult for me. After numerous failed training plans, this app has made the process fast, efficient, and VERY adjustable based on ANYONE’s life style! Not to mention only 5 days into doing 2 of the workouts per day (with a fitness diet) and I’m down 6.5 pounds with 3 inches off my abdominal area. Have a gym membership? - Great! They have gym plans, but what if you have 0 equipment and no gym membership? - No problem, they have you covered with an abundance of at-home 0 equipment workouts. I do the 30-40 minute gym workouts, plus about 10 minutes of cardio (bike, elliptical, etc) then a 10 minute home workout to burn some extra calories. THIS APP WORKS, one UPGRADE I would recommend is maybe a motivational celebration in the app when you input a lower weight closer to achieving your goal, and maybe an option to take an after workout picture to track progress within the app, which might give the developer proof and results for marketing. 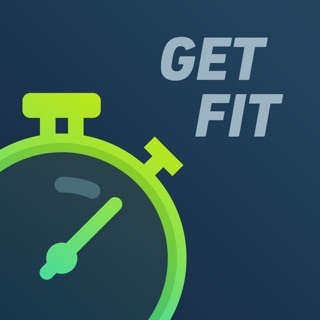 I downloaded several training apps for my workout in gym. And as soon as I am able to decide this app is the best fit, I immediately subscribed a lifetime membership. I see a lot of potential for this app, especially if you check the development release history, the releases of improvements and bug fixes have been very active for the last four months. I hope to see more and more features to be added in future! Feature-wise it would be great to summarize a weekly shopping list based on the recipes so that user doesn’t need to do the summary manually. It would also be great to consider adding stretching to the workout session. If possible adding support for watch os so that we don’t have to carry iPhone all the time. I am still exploring the app. The overall experience so far is worth the price. Look forward to more features to be added. Good work!